The Belo Monte power plant is being built on the Xingu River in Brazil. 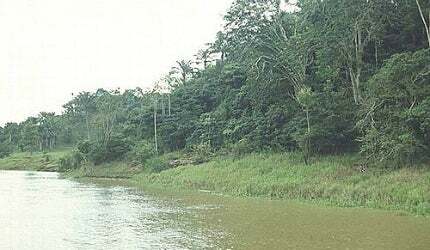 Xingu River is one of the tributaries of the Amazon. Construction of the new plant is expected to flood a 500km² area near the river. The Belo Monte hydroelectric power plant is being built on the Xingu River in the Pará state of Brazil. The project broke ground in March 2011 with the start of construction of the access roads. Upon its completion, it will be the fourth largest hydroelectric plant in the world with a capacity of 11,233MW. "The project is owned by a consortium called Norte Energia, which is led by Brazilian federal power utility Eletrobras with a 49.98% interest." The $11.2bn project is expected to take eight years to complete. The plant will serve the electricity needs of approximately 60 million people. The project is owned by a consortium called Norte Energia, which is led by Brazilian federal power utility Eletrobras with a 49.98% interest. Gaia Energia e Participações (Gaia) held a 10.2% share in the consortium. In April 2011, Brazilian mining company Vale purchased 9.2% of Gaia’s share in the consortium for $1.4bn. The Norte Energia consortium now consists of Eletrobras (49.98%), Queiroz Galvão (10.02%), Vale (4.59%), Cemig GT (4.41%), Galvão Engenharia (3.75%), Mendes Júnior (3.75%), Serveng (3.75%), JMalucelli Construtora (9.98%), Contern Construções (3.755%), Cetenco Engenharia (5%) and Gaia Energia e Participações (1%). The project has been facing a strong opposition from environmentalists and local residents. In June 2012, a group of 150 people, including members of some of the local tribes, occupied one of the dam’s construction sites. The protestors demand that the consortium responsible for the construction should demarcate their lands and provide a better health system and running water for those displaced due to the project. The first turbine generator unit of the plant began commercial operations, with the first power fed into the National Interconnected System (SIN) in April 2016. The power plant will be fully commissioned in 2019. The project was first proposed in 1975 but did not materialise due to opposition from environmental activists and local people. The proposal was abandoned in the 1990s and measures to mitigate the impact caused by the plant were studied. The project was later modified to protect the environment and the people living in the area. The Brazilian Government granted environmental approval for the project in February 2010. On behalf of the government, president Luiz Inacio Lula da Silva officially signed a contract for the construction of the plant with Norte Energia in August 2010. The Belo Monte power plant will comprise three components; the main power house at Belo Monte, the primary spillway at Pimentel Island and a supplemental powerhouse. The main powerhouse will feature 18 Francis turbines. The 233.1MW supplemental powerhouse will have six bulb turbines of 38.8MW each. A supplemental spillway will be located in Bela Vista. The three components will be strategically located to minimise the area flooded by dam construction. Power generated by the plant will be sent to the National Interconnected System (SIN) through the Tucuruí-Macapá-Manaus transmission line. Equipment for the plant is being supplied by a consortium led by Alstom. The consortium also comprises Germany’s Voith and Austrian Andritz. In February 2011, Alstom won a $684m contract to supply seven Francis turbines, hydro-mechanical equipment, bus bars and related gas-insulated substations (GIS) for the new plant. Andritz won a $444m contract to supply three Francis turbines and generators, 14 excitation systems and six bulb turbines and generators. Andritz will also provide all ancillary equipment and hydro-mechanical equipment for the Pimentel powerhouse of the plant. A $450m contract was awarded to IMPSA in February 2011 to supply four 624MW Francis turbines and generators. IMPSA will supply, install and commission penstocks and lifting equipment. ARCADIS Logos was appointed as the owner’s engineer for the project in April 2012. Norte Energia placed a contract with WorleyParsons to organise and deploy the environmental socioeconomic plans in July 2012. Tractebel Engineering was selected to formulate the environmental impact assessment (EIA/EIR) and the basic environmental plan (PBA) for the project. In July 2015, ELM Consortium and an Alstom-led consortium with Bardella were selected to respectively supply a new turbine and two generators, as well as hydro-mechanical equipment. The project has been facing severe criticism regarding its inefficiency and anticipated impact on the environment. "In June 2012, a group of 150 people including members of some of the local tribes occupied one of the dam’s construction sites." Critics are of the opinion that the plant will be highly inefficient and generate only 10% of its capacity during the low-water season in the region. Environmental activists believe that the project will damage the rainforest and threaten the survival of local tribes. Approximately 500km² of land is expected to be flooded and thousands of people will be displaced. The government, however, has given assurances that the consortium constructing the plant will spend $800m to protect the environment. The project continues to remain controversial as construction has started with only partial environmental approval, which does not allow for full construction. The hydropower plant is being built to fulfil the anticipated increase in energy demand in Brazil. As the economy expands, energy demand in the country is expected to grow by 4.1% per annum on average during the next two decades. At this rate, Brazil’s power generation capacity needs to be increased from the existing 100,000MW to 220,000MW by 2030. The new plant will help Brazil not only to meet this demand, but also to curb carbon dioxide emissions. ANDRITZ provides high-quality and reliable energy utility and turbine pumps for various applications in the power industry. If a plant's operating settings have changed, but the pumps are still set according to the previous conditions, and clients want to save energy and costs by optimising their system, ANDRITZ is the ideal service partner. In order to cater for all delivery rates and head requirements in cooling water pumps, a complete programme of impeller designs is needed, each with their own specific speed.